Things are becoming more and more green around our house. 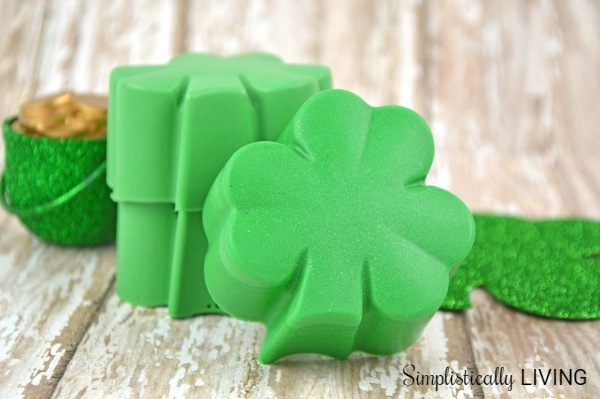 With St. Patrick’s Day nearing, it only seemed right to make some Homemade Shamrock Soap! 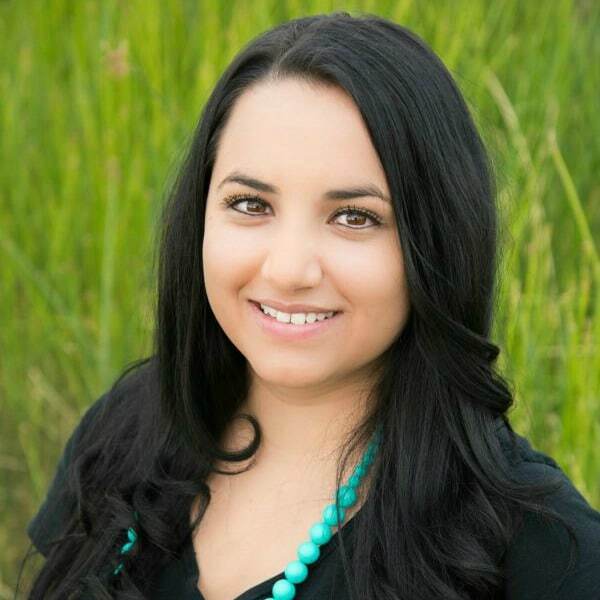 This year I have been trying to incorporate more homemade products in my life. The thing behind “homemade” is that you know exactly what is being put into the product you are using. When it comes to soap, you can control the additives so you can ensure your skin is receiving only the best. With a few supplies and some fun silicone molds you can make your own homemade soap your skin will love! Ready to make some? Check out the tutorial below! 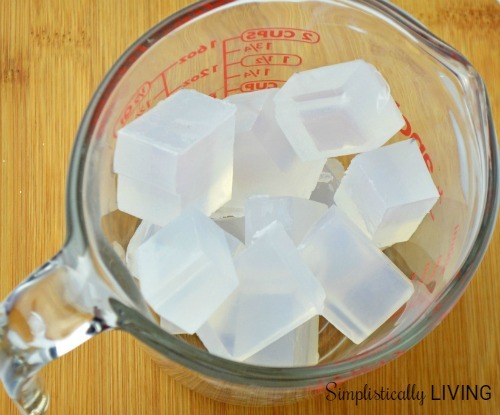 Cut your soap base into cubes and place into your microwave safe measuring cup or bowl. Place your container into the microwave on high for 30 second increments. Stir in between each cooking session until the soap is completely melted (should take about a minute total). Be careful not too overheat the soap as it can burn. 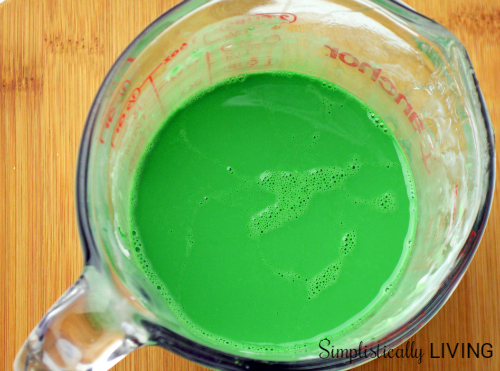 Add your soap colorant. You can add little slices of the color block, stir, and repeat until you reach your desired shade of green. Using your plastic transfer pipette, place a few drops of your fragrance oil into the melted soap base. Stir well. 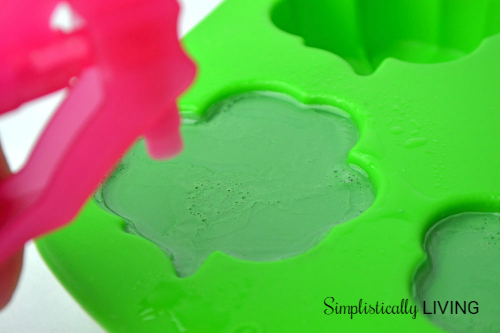 Pour your melted soap into your soap mold until each cavity is completely filled. 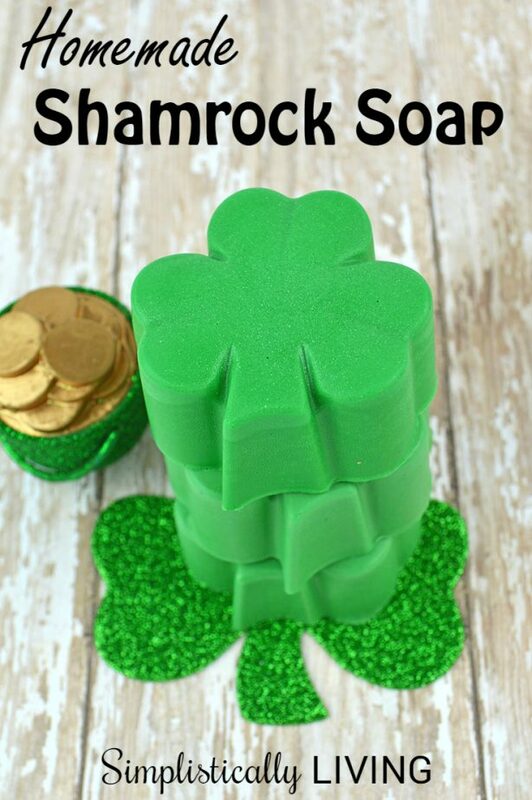 Note: If you want to place pennies into the soap you will want to put one penny into the bottom of each cavity and pour your soap on top of it. 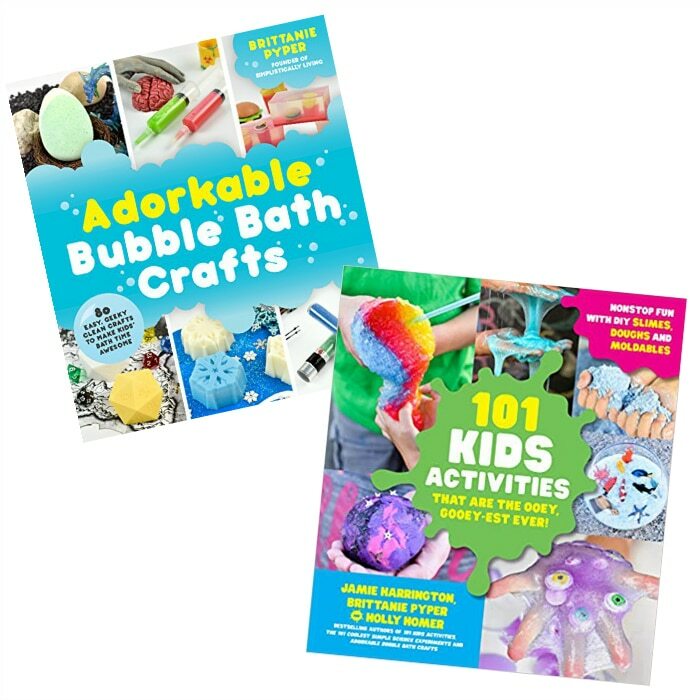 You will notice little air bubbles on the top of your soap. Spray the top of your soap with a few short bursts of the isopropyl alcohol. This will remove any air bubbles on the surface of the soap. Allow the soap to harden for 1-2 hours. Remove the soap from the mold by gently pressing from the back to release the soap. It should pop out easily. Individually wrap your soap in clear plastic wrap. Glycerin soap must be kept covered until it is ready to be used. 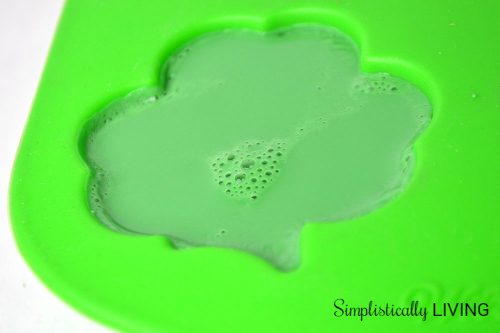 Enjoy your Homemade Shamrock Soap that looks neat and smells amazing! So cute! My kids would love this soap! These soaps turned out so cute! 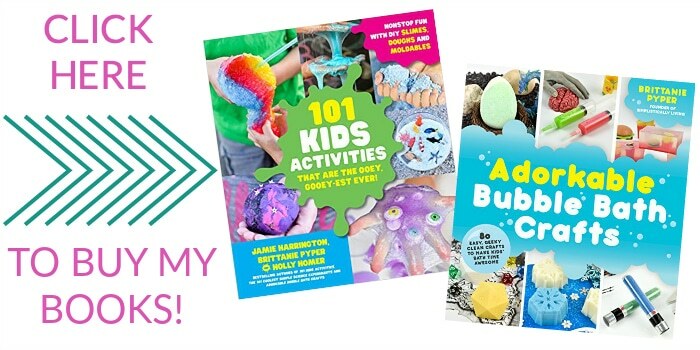 We would love for you to share this at the Awesome Things Tuesday Link Party here:http://artzycreations.com/awesome-things-tuesday-65/ Have a great day!